Next, this workshop has a 9 wide by 7 high roll-up steel garage door in the 20 foot end wall. 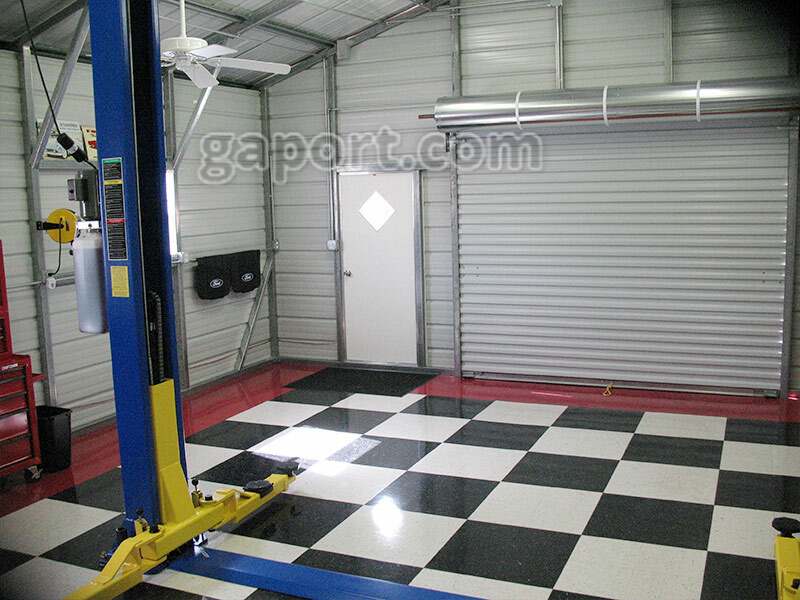 There is a walk-through door and windows pictured on this workshop and you can get the details on it, including the price for this specific steel garage here. Additionally pictured here, this steel workshop has a lift pictured inside for working on cars, as well as the gorgeous custom floor and tools, which you can see in the background.